FoundersCard is an exclusive membership for startup founders, CEOs, entrepreneurs, and just about anyone with that "innovator" mindset. In addition to getting access to private networking events, FoundersCard members get VIP perks, discounts, and extras from retailers and services ranging from airlines and hotels, clothing brands, and gyms to office services. 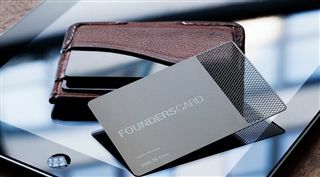 Until June 1, FoundersCard is offering a discounted rate exclusively for Business Insider readers, and a waived initiation fee. To get the discount, you'll have to apply through this page. If you're an entrepreneur, an innovator, a startup creator — in other words, a founder — there's a unique and exclusive program that you might be interested in joining. Beyond personal benefits, it can provide direct, tangible benefits to the business or project that you're trying to grow. FoundersCard is a private membership club for — well, founders — designed to provide members with various elite statuses, VIP treatment, and top benefits. In addition, FoundersCard fosters an ambitious, social community of similarly driven people from different industries, helping to facilitate networking opportunities, connections, and more. Despite its name, the FoundersCard isn't a credit card and doesn't involve transactions, which means that anyone can apply, regardless of what country they're from. FoundersCard was founded in 2009 by Eric Kuhn, a new Austin-based venture for a veteran entrepreneur of the 1990s and early-2000s. While the card initially grew its network and offerings slowly — and had a few early bumps in the road— it's made leaps and bounds over the past few years as an organization. Since running into a few issues in its early years, it has bolstered its membership, and made connections with a lot of travel, lifestyle, and business services companies. If FoundersCard sounds like something that could be useful to you, read on to learn more about how it works — and to take advantage of a discounted rate of $395 per year (compared to the normal $595) with a waived initiation fee (usually $95). This rate is a special exclusive for Business Insider readers who apply through this page. You can apply for a preview membership to get a better sense of which benefits are currently active. From there (or right away, if you don't care about the preview), you can fill out the complete application. You have to enter your personal details, including your company name and your title — FoundersCard is open to people other than strictly company founders — as well as your contact and billing information. If you're approved, your payment method will be charged the first year's annual dues — $395, with FoundersCard's exclusive offer for Business Insider readers, or $595 without — and a one-time $95 initiation fee — waived for Business Insider readers. FoundersCard offers a wide range of benefits that can be loosely broken into three categories: savings and discounts, VIP treatment and perks, and exclusive events. FoundersCard hosts an ongoing series of networking events in cities with high concentrations of members — thanks to business travel, though, there are often different people and new faces at these mixers, even if you go to two in a row in the same city. Usually with 100-200 members, the networking events offer attendees an opportunity to mingle, make connections, and share experience with members from a wide spectrum of industries. Other benefits tend to change as promotions become active, things become available, or FoundersCard negotiates a new partnership or improvement to an existing one, so it's difficult to share a comprehensive picture of what membership entails. There are also a ton of different benefits — this is a deliberate move to appeal to the widest possible cross-section of member, so that there are appealing things to many different people. The following are examples of some perks available at the time of publication. FoundersCard provided Business Insider with a temporary active account in order to access the full benefits portal. Cathay Pacific offers 5-25% off flights, as well as a complimentary upgrade to Silver elite status. That status includes priority check-in, complimentary advance seat reservations, access to business class lounges while traveling on the airline in any class, and an extra baggage allowance. The status is valid for a year, after which you'll need to re-qualify through normal methods. British Airways offers FoundersCard members up to 10% off most round-trip fares between the US or Canada and the UK. Alaska Airlines offers 5% off fares within the Continental US, Hawaii, and Canada. JetBlue features preferred flat fares for Mint (business class) transcontinental flights, plus up to 5% off coach and business class tickets. Mint fares are as low as $800. American Airlines offers a changing list of benefits, including extra frequent flyer miles, elite qualifying points, or the opportunity to receive complimentary Platinum status for three months, with the chance to keep it by flying a certain required amount within three months. Qantas, the Australian flag carrier, offers a whopping 10-25% off flights from the US to Australia or New Zealand. Emirates offers 5-10% off US originating fares. The airline serves more than 125 destinations around the world, and offers particularly useful routing for those traveling from the US to the Middle East, Asia, and Africa. Singapore Airlines discounts US originating flights up to 5%. JetSmarter, a service that helps members find available seats on private and chartered flights as an alternative to flying commercial — but for a much cheaper price tag than flying private normally carries — offers FoundersCard members a free three-month trial. Complimentary Preferred Plus membership at Avis, and up to 25% off rentals. Platinum membership at 15% off rentals at Sixt Rent a Car. 20% off all Silvercar reservations — the founder of Silvercar is a FoundersCard member. Credits and discounts with major car services including GroundLink, EmpireCLS, Carey, and Getaround. Omni Hotels & Resorts, and more. Discounts when you buy or lease a new Audi. 20% off at John Varvatos. Up to $10,000 off when you buy or lease a new BMW. A complimentary $100 credit at Trunk Club— the founder and CEO of the company is a FoundersCard member. Complimentary Diamond Total Rewards status at Caesars resorts and casinos, plus 20% off most rooms. 15% off headphones, speakers, and more from Bang & Olufsen. Discounts at other retailers including Adidas, Reebok, Indochino, Rent The Runway, Cole Haan, Tommy John, Todd Snyder, and Jonathan Adler, and more. Discounts or credits at gyms, fitness studios, and wellness centers, including Equinox, Crunch, SoulCycle, Bliss Spa, Peloton, CorePower Yoga, and more. 15% off voice and data plans with AT&T Wireless. Up to 47% off UPS. Up to 50% off Dell computers. 20% off business card and stationary orders from MOO — the company's CEO is a FoundersCard member. A free year of service from the Phone.com virtual office service. A flat 20% discount off products and services from LegalZoom. 25% off classes at General Assembly — one of the co-founders is a FoundersCard member. This is far from a conclusive list. FoundersCard has hundreds of benefits, discounts, and offers available, and can offer enough value to outweigh the annual fee even if you're a sole proprietor just getting your idea off the ground, or even an individual who can take advantage of the retail and gym discounts. If your small business has grown a bit, though, you can get tremendous value from discounts on shipping, IT services and gear, travel, and more. Between that, and the opportunity to network with like-minded and similarly focused entrepreneurs, FoundersCard presents a unique and potentially valuable opportunity — whether it's worth the $395 annual fee (with the Business Insider discount) depends on you. Read the original article on Insider Picks. Copyright 2018.